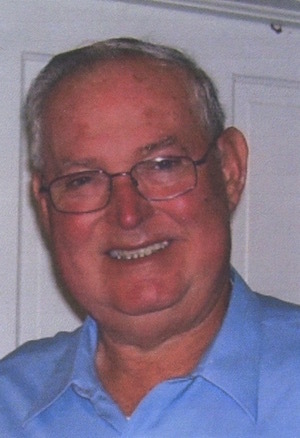 Marvin J. Swafford, 84, a resident of McLeansboro, Illinois, passed away Tuesday, November 20, 2018 at the Hamilton Memorial Hospital in McLeansboro, IL. He was born in McLeansboro, IL on October 16, 1934 to Euel and Inez (Prince) Swafford. He was a retired maintenance employee at the East Side Grade School in McLeansboro and also served several years as an Alderman for the city of McLeansboro. Marvin is survived by his son, Anthony (Cheryl) Swafford of Danville, IL; daughter, Gena (Dan) VanAbbema of McLeansboro, IL; six grandchildren: Lindsay (Kyle) Arndt, Mitchell Swafford, Tiffaney (Eric) Taylor, Chris (Christy) McCormick, Catlin VanAbbema and Kyle VanAbbema; five great grandchildren: Abbey, Madisyn and Briley McCormick and Lincoln and Leo Arndt; one sister, Marlene (Frank) Elliott of Dahlgren, IL; and one son-in-law, Fred McCormick of Greenville, IN. He was preceded in death by his parents, wife, Genieve Hassett and one daughter, Cathy McCormick. Funeral services will be held Saturday, November 24, 2018 at 1:00 p.m. at the Gholson Funeral Home in McLeansboro with the Rev. Mike Fields officiating. Visitation will be held Friday, November 23, 2018 from 5 to 7 p.m. at the Gholson Funeral Home in McLeansboro. He will be laid to rest at the St. Clements Cemetery in McLeansboro.